Meadows Assisted Living is conveniently located in the heart of downtown Mount Clemens, MI, near local hospitals and skilled nursing facilities. Meadows Assisted Living and Care Campus is a state-of- the-art assisted living facility that offers an adult day services program as well as a Comprehensive Outpatient Rehabilitation Facility. Our 25,000 square foot building consists of 30 private suites and 4 semi-private suites. We take our residents needs and provide the quality of care they deserve. Meadows Assisted Living and Care Campus is a family owned and operated organization. We strive on the importance of knowing your loved one is in safe and caring hands. We may not be related, but at Meadows, everyone is treated like family. Schedule a tour of our facility today! The Mission of Meadows Assisted Living, Inc. is to provide a comprehensive healthcare delivery system that combines residential care with a special focus on restoration for those with special, traumatic conditions. 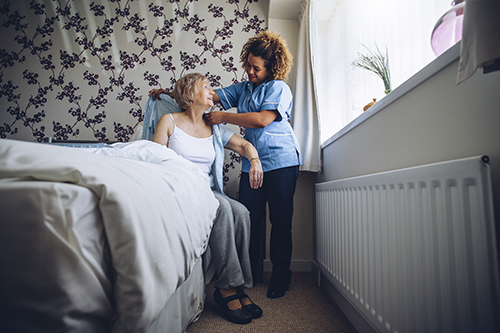 In so doing, we specialize in in-house care coordination that allows us to manage the complete long-term care needs of everyone who calls upon us for any needed clinical assistance.